Review of Teen Daze’s Morning World: Do Yourself a Favor and Listen to This Amazing Album. Right Now. 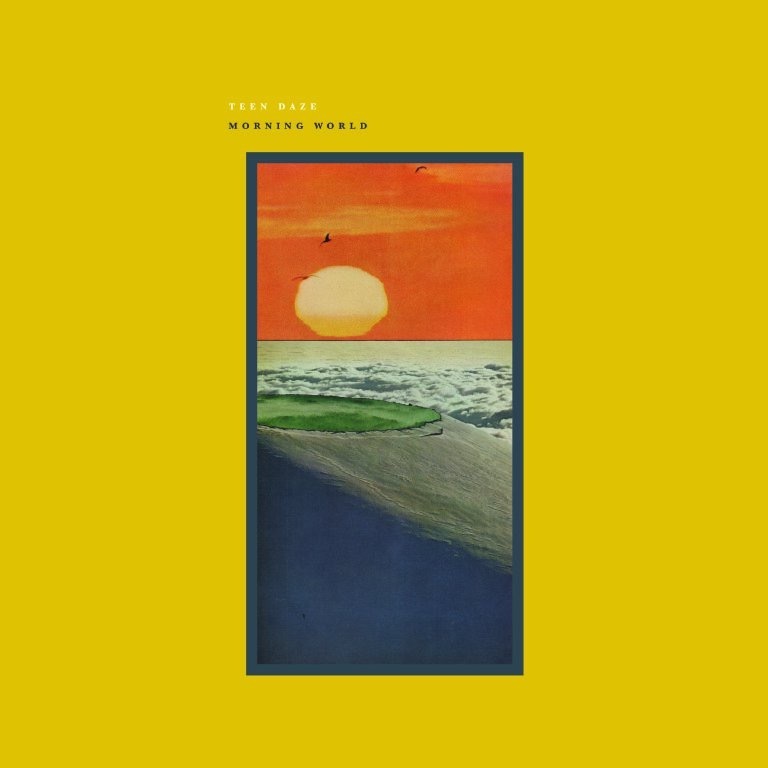 It’s already August, so I’ll just call it now: Teen Daze’s Morning World is 2015’s Album of the Year. Two weeks ago I had never heard of Teen Daze, impoverished soul that I was. The lush, arpeggiated riff that opens the album on “Valley of Gardens” drew me immediately in. To see what the pond had collected. Muted the sound of the hills. I can smell the leaving of winter. I feel them in every sentence. …which is a good thing, because there aren’t that many sentences on this record. Jamison doesn’t need many lyrics, though, because (a) the ones he uses are plenty evocative and (b) the music is expressive, creative, intricately layered, and speaks for itself. After my first listen or two, I described Teen Daze’s sound as if The Lassie Foundation were covering Badly Drawn Boy songs, with some mid-1990s James Iha (Smashing Pumpkins) sprinkled in. The drums are perfect, the riffs are unforgettable, and the production (John Vanderslice, mastered by Bob Weston) is outstanding. But then on about my fourth listen through, I noticed the strings. Oh, those strings. They really make the album. Cello and rock and roll were made for each other. And these parts are perfectly orchestrated. Morning World somehow has a way of evoking so many bands I’ve loved over the last couple decades, yet with its own unique sound. Drift back, into a dream. The album pulls the listener into this dream—no, not the dream of the 90s, but visions of the Garden of Eden (“finally a place of endless wonder”). If Teen Daze is suggesting Morning World could have been the Garden’s soundtrack, it’s hard to argue. But despite the promise that “We can live forever,” and the desire to “believe that this is forever,” mid-album (and the lyrics only allude to it, allowing the music to do the work) the listener realizes something has gone wrong in the Garden. The rest of the record comes to grips with what it means when “forever” actually has an end. Morning World—released today—is actually a fairly significant departure from Teen Daze’s previous work. I went back and listened to three previous albums, and there’s barely a live drum set or unprocessed guitar part to be found. That older, ambient, synth-heavy stuff is awesome in its own right (and still has a place here), but the new sound serves Teen Daze’s music well. Also—Teen Daze took just 10 days to make this album. Yes, 10 days—6 for recording and 4 for mixing. There are a few times when this shows–a couple muffled guitar notes here and there–but that comes across and mostly endearing and just adds to the album’s charm. You’d otherwise never know this genius record took less than two weeks to bring to completion. Get this album as soon as you can, put on a pair of headphones, turn off your device notifications, and enjoy what is easily the best album of the year. Find it here (iTunes) and here (Amazon). Thanks to the good folks of Force Field PR for the album download for review.